shibaa987 3 years, 1 month ago. BQ Aquaris M5 (Codename: Piccolo) CM13 Temasek’s Marshmallow ROM is an Unofficial build brought to you by developer DarkenedSky94. Being an Unofficial ROM, I don’t know the working and non-working status of this ROM. Please make sure to have a NANDROID BACKUP in case you need after flashing this ROM. For more CM13 ROM updates and OFFICIAL update of Aquaris M5 CM13, you can have a look on the big CyanogenMod 13 devices list. Installing Custom ROM requires your phone to be UNLOCKED in some cases which may VOID WARRANTY. Sometimes if not handled carefully then it may permanently damage your phone and prevent from BOOT leaving it in unusable state forever. Understand that you are the only person making changes to the device. In case of any damage or any kind of loss as a consequence of this installation, Neither the Developer nor we can be held responsible. We have updated many CyanogenMod 14 (CM14) Nougat 7.0 ROMs till date. Stay tuned to get the CM14 ROM for your device at the earliest. – CM13 Marshmallow Google Apps Download link. IF YOU DON’T WANT TO TAKE BACKUP OF YOUR OLD DATA THEN YOU CAN SKIP THE BELOW STEPS. – Before proceeding to installation make sure that you have unlocked the bootloader and installed a custom recovery. Copy the GApps and Temasek’s ROM ZIP file to your device. First flash the Temasek’s ROM ZIP from device. Then flash the GApps zip from your device memory. Reboot and Enjoy the Temasek’s Marshmallow ROM on your BQ Aquaris M5 (Piccolo). Copy the Temasek’s Marshmallow ROM ZIP file to your phone. Flash the latest Temasek’s ROM ZIP from your phone. The first boot may take long time, so don’t panic and be sure that you have enough battery backup. 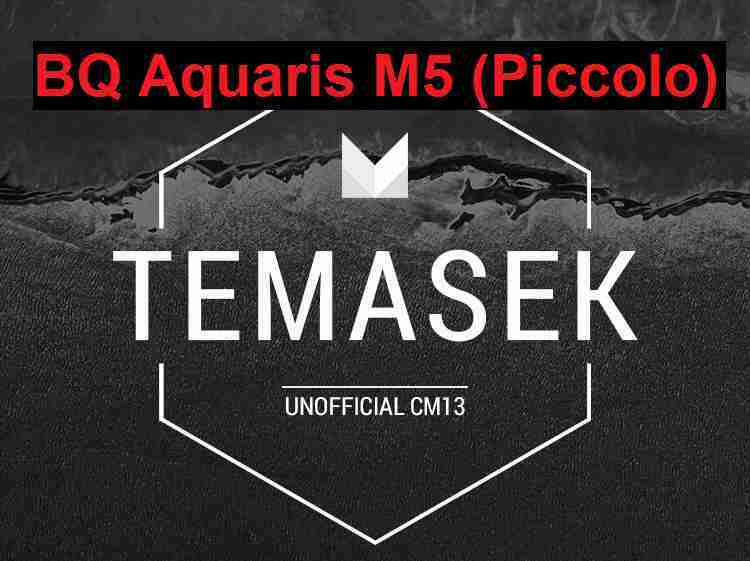 Enjoy the Temasek’s Marshmallow experience on BQ Aquaris M5 (Codename: Piccolo).